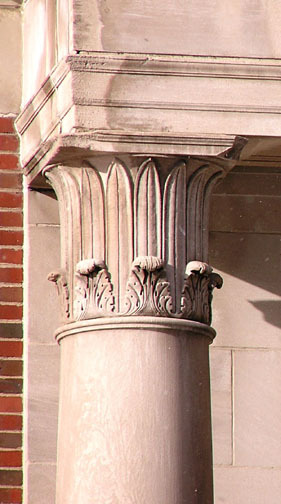 Leaf borders and scroll motifs were used extensively in the art and architecture of ancient Greece and Rome. 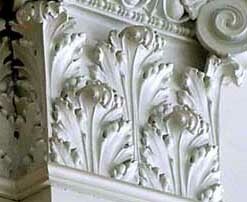 Foremost of these was the acanthus motif. Some say the acanthus, one of the oldest flowers in the Mediterranean area, represents long life. 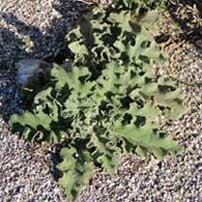 Throughout most of its long history the leaf ornament generally known as acanthus is in fact an imaginary leaf adapted to many uses. 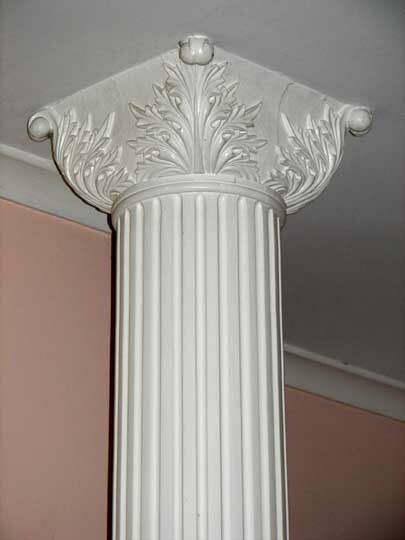 The symbolism and meaning associated with the Acanthus is that of enduring life, and the plant is traditionally displayed at funerary celebrations. 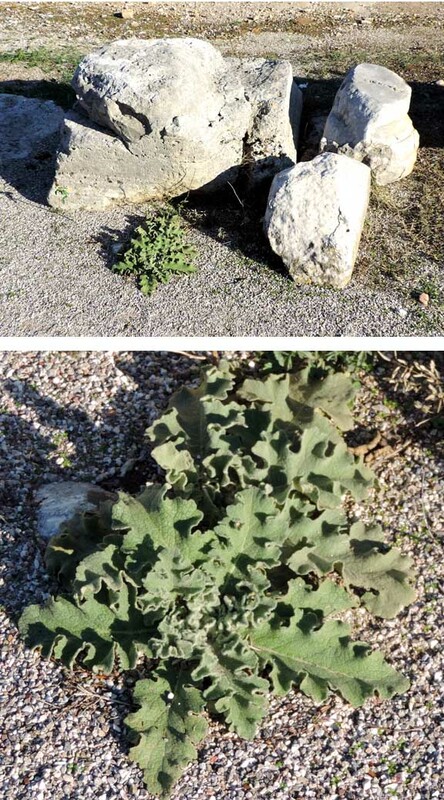 In Christianity the thorny leaves represent pain, sin and punishment. 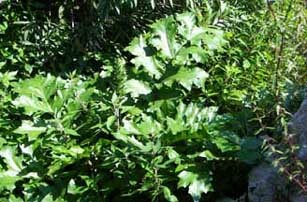 Acanthus symbolizes immortality in Mediterranean countries. 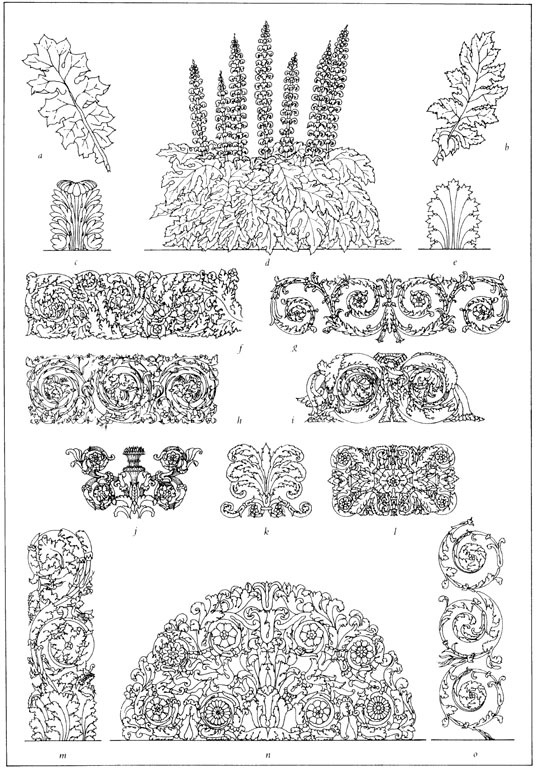 Plate VII, Chapter III, Volume I, Antiquities of Athens, by Stuart and Revett. 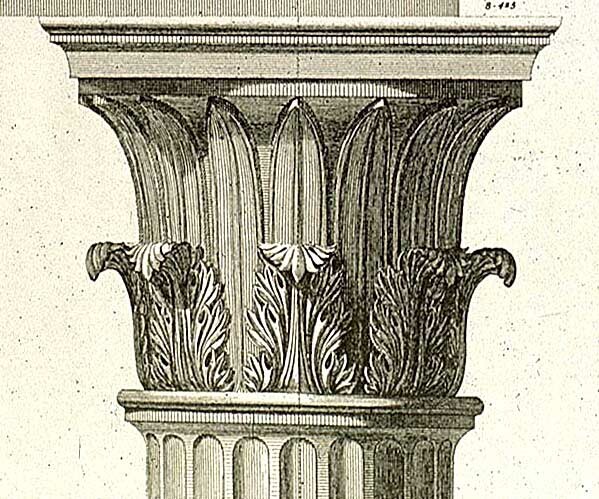 "With its single row of acanthus leaves surrounding a single row of palm leaves, the capital is a simplified version of the Greek Corinthian order, and has become known commonly as the Tower of the Winds order." 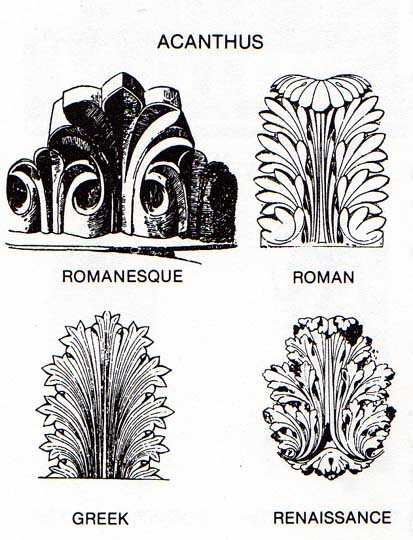 Anthemion: Acanthus leaves added at the bases of the lotus and palmette elements produced designs now usually known as anthemion or honeysuckle. 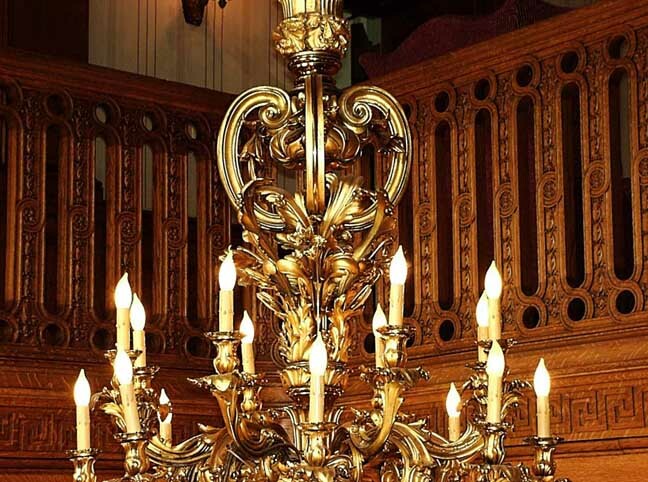 Motif in furniture design, usually carved on knees of Chippendale cabriole legs and on pedestal bases of Empire tables.